Modern keyboards have the ability to fill alot of needs for musicians today. Whether it’s the classic sound of a grand piano (at 1/100th the weight), or synthesized pipe organ to back you up in a classic rock song you are working on re-creating, a good keyboard can go a long ways to helping you bring new life to your music. With several keyboards in stock and more available, let us help you find the one that is right for you! 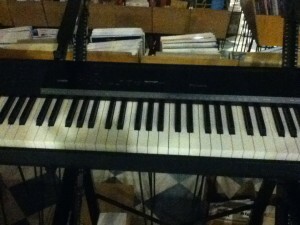 Casio Digital Piano’s and Keyboards.